Herne Bay, United Kingdom Constructions workers working on a project at the old Herne Bay Golf Club uncovered a munition item. The crew called the police to report the find and the police called an Army EOD unit for assistance. 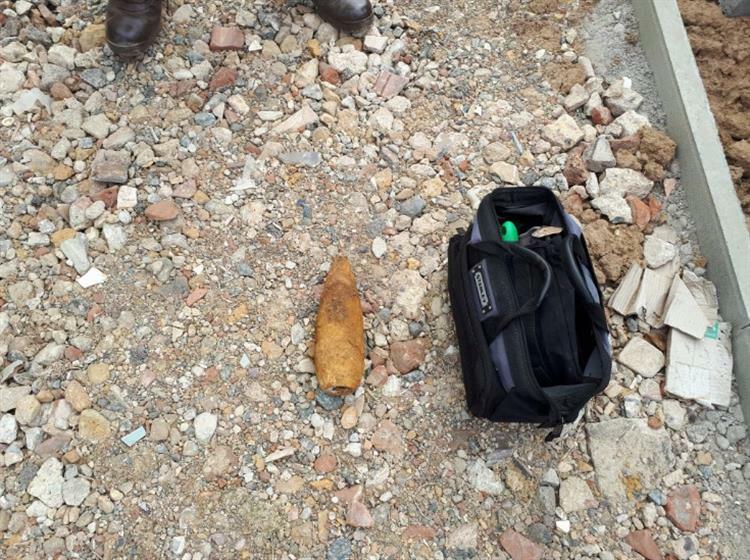 The WWII era round (exact nomenclature not reported) was safely removed from the area. The incident has caused nearby neighbors to urge the developer to conduct a sweep of the area for additional explosives before they continue with construction. At this time, the developer, Redrow Homes, has not made any public announcements concerning the matter.